Recently, the makers of Mountain Dew began a new promotion where the company released four new flavours of its pop, asking customers to decide which was the best and the winner would stick around. I picked up a mixed pack of the new releases and decided to do my own little taste test, cocktail style. So, I present to all you little sippers, the first in a four-part series of comparing sodas, while also looking at liquors I would love to try… talk about harmony and synchronicity! How do you bottle the essence of a city? 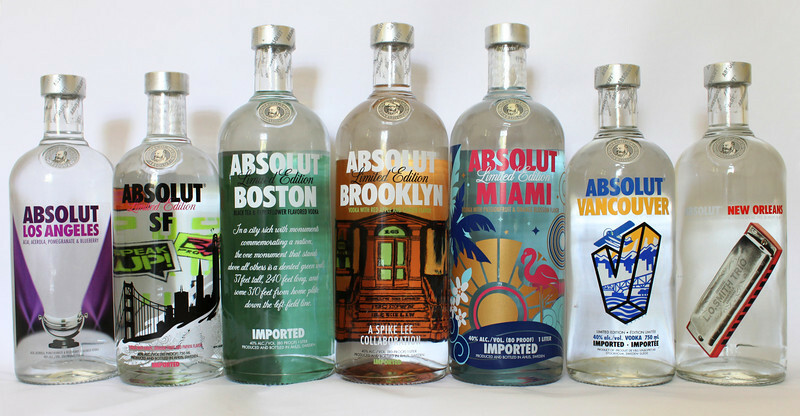 Well, Absolut Vodka seems to think they’ve found the perfect blend to describe major hubs around the world, such as Los Angeles and New Orleans, in their Cities series. The LA bottle, for example, features blueberry, acai berry, acerola cherry, and pomegranate, a nod to the city’s healthy lifestyle, while N’Orleans brings together an interesting blend of mango and black pepper. At least the flavours don’t taste like race riots and broken levees. Cool! Even my hometown of Vancouver has been bestowed a vodka in its own name… the first Canadian city to earn such an honour. Take that, Toronto!!! It is a well-documented fact that the Irish love to drink… and for that reason alone, we love them. I’m pretty sure the small segment of Irish in me is the reason I run this site and enjoy the caress of sweet lady liquor so much. This liqueur is advertised as a blending of Irish spirits (not ghosts, whiskey of course) and cognac, with a taste of honey. It may only be available in Ireland, but with popularity, the drink will surely make the Celtic Crossing, as well. I feel like this spirit would be best enjoyed while watching Game of Thrones and cheering on Daenerys Targaryen. What exactly is a dragon berry, you ask? Well, it comes from exotic dragon fruit, of course. 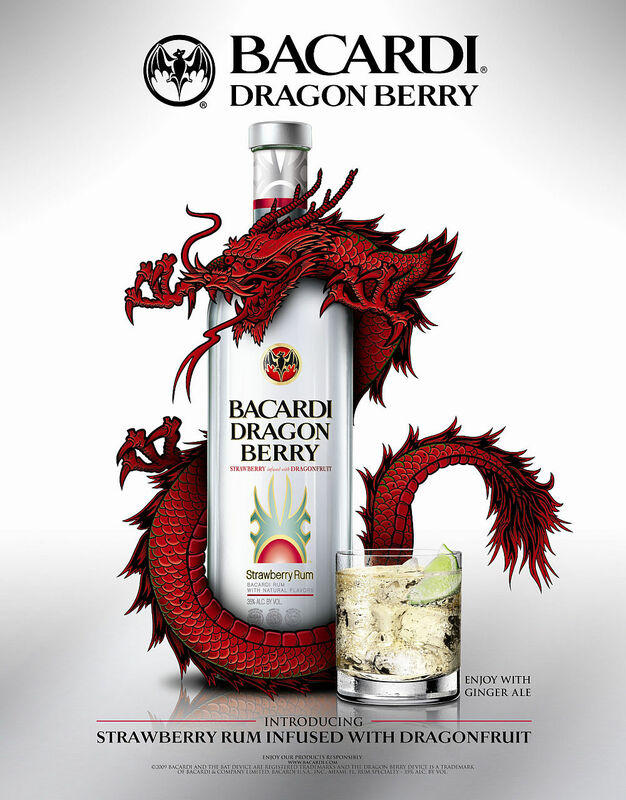 This Bacardi offering combines strawberry with the dragon fruit for a bold flavour that is unmatched by any other liquor. This bottle should be easier to track down than most others thanks to Bacardi’s wide distribution of it. This may turn out to be completely disgusting, but I think if given the chance, you’d have to see what it tasted like. Fresh cut grass definitely smells good and is a welcomed sign that summer is here, but how exactly would it taste as a vodka? Along with notes of grass, drinkers have found tastes like honeydew melon, strawberry, kiwi, and aloe while sipping the alcohol. I wonder if it’s all blended together via lawnmower!? This South African liqueur is made from Cape tangerines, brandy, plants, seeds and barks. I’m intrigued by it simply because it’s from South Africa (at the top of Mrs. Sip’s current travel wish list) and I need to have a souvenir to look out for when I’m dragged there with her. Hopefully I can get one drink of the sweet stuff in before any number of wild animals gets to me. If I don’t have a rhino or elephant charge at me, I’ll consider it a disappointing vacation! Join the Sip Advisor tomorrow for another new Mountain Dew flavour and the continuation of liquors I want to try. Perhaps we can go halfsies on a bottle, in the name of friendship, discovery, and getting stupid drunk! This was another one of those cocktails that tasted better after the ice got a hold of the mix and diluted it a bit. The Strawberry Slices I scattered throughout the cocktail also helped with flavouring. I’m not sure what exactly was off with the drink, but something was up. As for the Code Red on its own, it’s much better than in its cocktail form. There is a strawberry taste to the soda, so at least I got that guessing game right. I think the mixer would be better in a drink involving citrus flavours. This entry was posted in Crazy & Classic Cocktails and tagged Absolut City Series, Absolut Los Angeles, Absolut New Orleans, Celtic Crossing Liqueur, cocktail, Crimson Tide, Dragon Berry Rum, Mountain Dew Code Red, Oddka Fresh Cut Grass Vodka, raspberries, strawberries, taste test, tequila, Van Der Hum Liqueur, whiskey by Daniel Wilson. Bookmark the permalink.